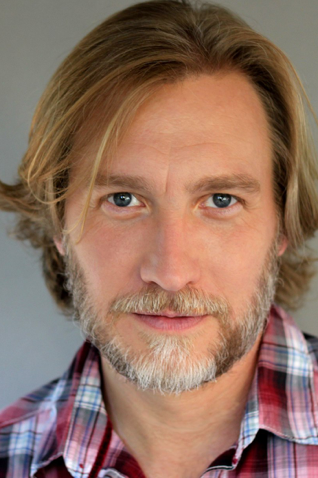 Christopher began his career in New York City where he received his MFA from NYU’s Graduate Acting Program and worked primarily in the theater. On Broadway, he appeared in the critically-acclaimed revival of The Elephant Man as well as the long-running Beauty and the Beast. Off-Broadway credits include David Mamet’s adaptation of The Voysey Inheritance, the award-winning original production of How I Learned to Drive and the original Off-B’way production of The Complete Works of William Shakespeare (abridged). Now located in Los Angeles with his wife and daughter, Christopher completed both The Groundlings & Upright Citizens Brigade training programs. His sketch comedy and political parody videos have been featured on Funny or Die, Huffington Post and The New York Times BlogRunner. He is also a founding member of Serious V-Neck, a long-form improv group whose guests have included Dave Foley, Mindy Sterling, Jillian Bell, the Sklar Brothers and Fortune Feimster. Christopher’s TV credits include Good Luck Charlie, Weeds, Medium, Judging Amy and Law & Order as well as numerous web ventures. He attended Middlebury College and the British American Drama Academy in London.